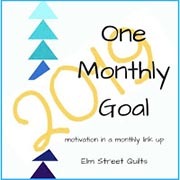 This entry was posted in Uncategorized and tagged #esqpostcardswap, Elm Street Quilts, fabric postcards, fiber art, LCsCottage, postcard swap. Bookmark the permalink. Both postcards are works of art and so well done! Thank you…I appreciate your taking the time to visit and comment! Fantastic details created on such a small size project. What a sweet garden you received! Nice work on the card you sent as well. This swap is full of fantastic creativity! Thanks Karen! Yes, I am having fun visiting the blogs and seeing all of the wonderful postcards! I liked reading about how you came up with the design for your postcard. It is a fabulous piece. And the garden card you received is definitely a little piece of happiness. Thank you! I loved reading your blog post about your postcards as well…very creative and inspiring! Beautiful postcards, both! Fabric postcards as truly gems. So glad you participated in the exchange; let’s hope Patty does another one soon. This postcard swap was definitely a fun event, Marsha! I would do it again! I just love your postcard. I’m not sure I’d personally be brave to dive off a real cliff but I’d like to stand there and look at the view! Thanks for being part of the postcard swap and hop! Thank you for the opportunity to participate in the swap and hop. I had fun, and I was inspired by the many creative postcards! Laura, they both look great. It sounds like a fun swap! Thanks for including all the links, too. I love both postcards, they are fabulous!!! I wanted to thank you for visiting my blog and your sweet comments but could not find your email, so i found your site instead. Beautiful work!!! Thank you so much, Martha! I had fun with the postcard swap…I would do it again!